Heart and Soul by Women SPEAK is a self-care program and community that helps individuals realize that self-care is an essential journey to living complex, demanding lives. In a world that constantly demands our attention, we oftentimes forget about the value and worth of ourselves. Caring for ourselves is necessary for giving back to the communities and loved ones in our lives. 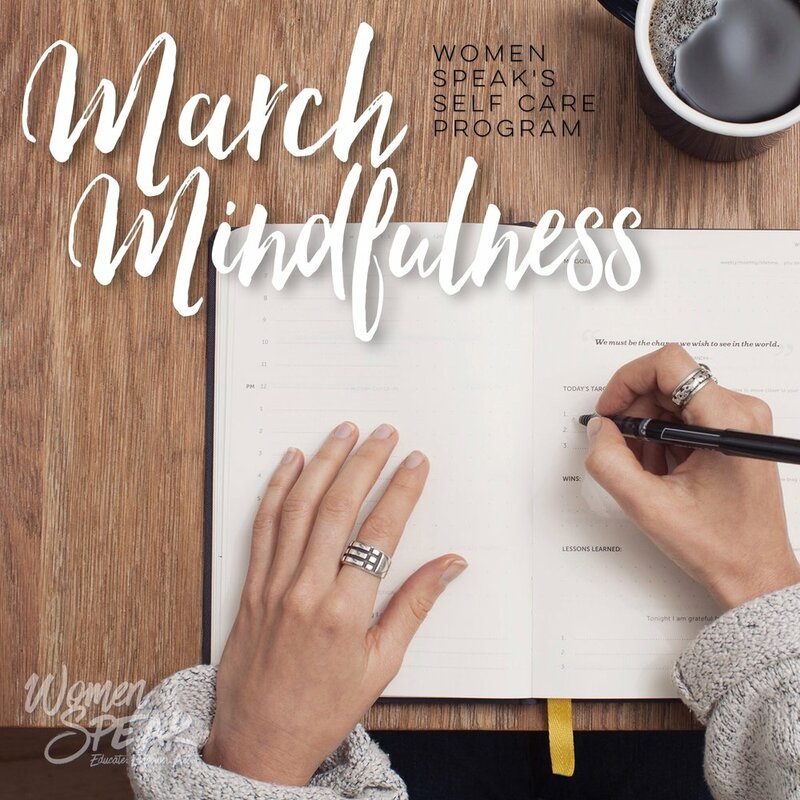 Women SPEAK realizes that self-care methods can be challenging to start and continue -- from journaling, meditation, reflection, and even simply finding time out of the day to breathe and relax. Through Heart and Soul, we aim to find ways to take care of ourselves and uplift each other. (1) Self-Care "Challenges": On the 1st of each month, Women SPEAK will create simple 10-day "challenges" for program participants to partake in. These range in short journaling prompts, reflections, meditations, and simple relaxation habits. All instructions, resources, and prompts will be given to participants. (2) Soul Sessions: At the end of the 10-day challenge period, Women SPEAK will hold a Google Hangout reflection with the wider Heart and Soul community about their thoughts, stories, and experiences on the month's challenge and regarding future self-care habits. (3) Community: All participants will participate in wider community forums via social media to regularly support each other with self-care tips and experiences. We respect that self-care is tailored to the individual experience, so all the above components are optional! the first challenge series will start on march 1, 2017.
click here to be part of the program!